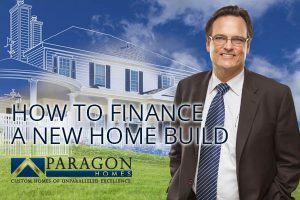 Financing a new home build is a bit different than taking out a mortgage on an existing home. The process doesn’t have to be difficult – we’ve outlined the borrowing basics of a new home build so you can get started on the fun part: building your dream home! Typically, lenders are cautious of lending money for the purchase of raw land. This is because if the borrower defaults, the land can be difficult for the lender to resell. As a result, some banks may request a large down payment with a high-interest rate. Land purchase lenders may be difficult to find, but fortunately we have some great ones in Pittsburgh that have made new homes a specialty. They understand the challenges and can often roll everything into one loan for customers to help eliminate this problem. Simply put, there are two major ways to finance a new home. The construction loan and the end loan. The end loan is more similar to a regular mortgage, where the buyer signs a contract to purchase the home when it’s complete. These types of loans are great for home buyers who don’t have a lot of money to put down or want to buy an already completed new home, the downside is that end loans are generally a lot more expensive than construction loans. In a construction loan, the bank will set aside a pool of money equal to the total value of the mortgage and disperse money to your builder little by little as the home is complete. Many people will tell you that this means you have to pay your mortgage before you even get to live in the house, but this is somewhat misleading. New home buyers are responsible for interest during the time the home is being constructed, but only on the portion of the loan distributed to date so in general, the payment in a very small percentage of the future mortgage payment for most of the construction period. Essentially, it comes down to affordability. If a new home buyer has the cash to do a new construction loan they will end up paying a lot less in the long run, just like buyers who make larger down payments end up paying much less overall. Shop around. Look for lenders that offer combination financing, which may roll together all or at least part of the deal, minimizing costs and paperwork. Every lender is different in their approach, so shop around. 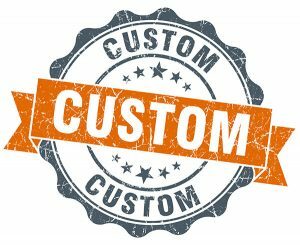 If your builder forces you to use their lender in order to get the special pricing, odds are you are not only overpaying for any “freebies” elsewhere in the home, but paying way too much for your loan as well. Budget wisely. The loan amount will be based on a budget you provide and the appraised value of your new home. It’s important to carefully consider and detail all costs of the project, including plan and permit fees, construction costs and loan fees. Many on your lot builders don’t include the full cost of things like utility lines, soil conditions or sewage. Make sure you know ahead of time who is responsible to pay for which items and compare apples to apples. If costs exceed the original budget – your wallet makes up the difference. Be aware of changes in rates and construction costs. This is something we hear all the time, a buyer shops for a home, and decides to save up a little more money in order to put more money down or pay for a larger home. Unfortunately, when they come back the next year, the cost of lumber, concrete or other materials goes up regularly may have risen and eaten up what they saved. 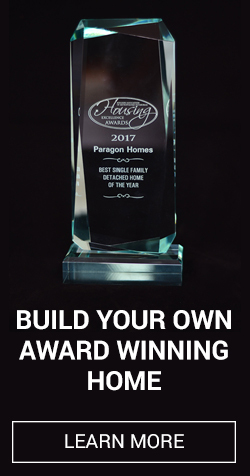 Ask your builder and lender if they can be flexible, there is a good chance you can start now when prices are low and if your builder lays things out right, you can add that sunroom or extra garage bay in a year or two. Use these increases to your advantage. Most people know that the future value of your home will be determined by the value of your neighbor’s homes and how well your homes holds up to the bumps and bruises of everyday life. Given that construction material costs are constantly rising, the first half of the new home buyers on a particular street stand to gain much more appreciation than those who wait. It’s likely that the last person to build will end up paying 10% more or higher than if they were the first person who built and when a new buyer comes looking in 10 years, it’s the buyer who acted fast who reaps the extra money. Make sure your home will stand the test of time. Ask a buyer who built with the same builder 5 or 10 years ago how their house is holding up, the internet is full of people who will tell you their experiences. Have they had to put a lot of money into upkeep or did the materials their builder used originally spare them this expense. The same thing is true of new homes that is true of many other products. The item that seems cheaper now might end up costing you more later, and that money can’t be rolled into a mortgage.